Where is the space from LVM partitions? Am I confusing logical and extended partitions from LVM partitions? 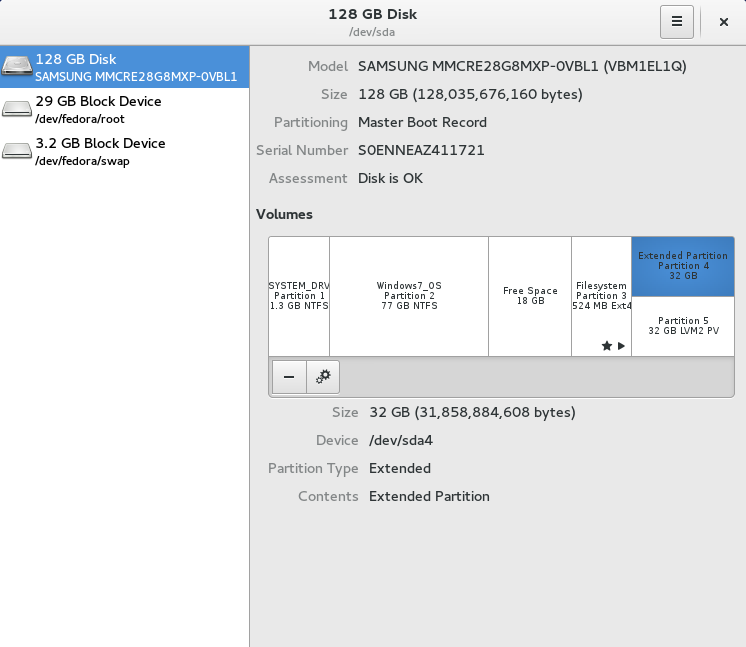 In this particular scenario, you have 3 primary and 1 extended partition. If you look at the output of fdisk -l and pay attention to /dev/sda2 End and /dev/sda3 Start, you have a bit of space there. Finally you can bring files back into /boot directory, only this time it will not have it's separate file system. You can create an lvm and mount it on /boot if you don't use all of the free space extending / file-system. Not the answer you're looking for? Browse other questions tagged partition lvm disk-usage disk partition-table or ask your own question.